The 2013 Primal Blueprint 21-Day Challenge just kicked off this week over at Mark’s Daily Apple. I invite all of you to take a look at this as well as the rest of Mark’s site. There are some very good articles there as well as an active user forum. September 18, 2013 Kind ArticleLeave a response on Eating Healthy, Eating Primal? On Monday I attended a nice ceremony to receive an award for being among a group of faculty that have “left a mark on our students”. 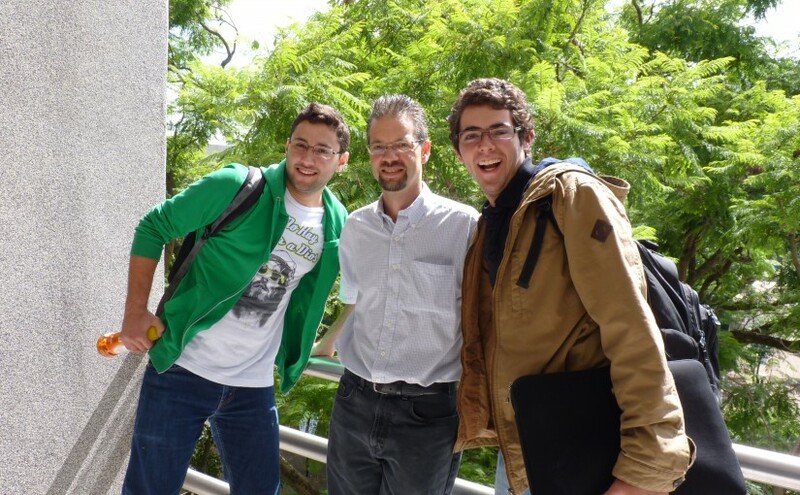 Apparently this puts me in the top 5% of faculty over the 70 year history of our university system at the Tecnológico de Monterrey here in Mexico. Obviously those of us with a large number of semesters (and total number of groups taught) have an advantage, or I think that would be true. It is also obvious that the more recent semesters have more students and also more students that are connected to the internet in order to hear about the voting and cast their vote. 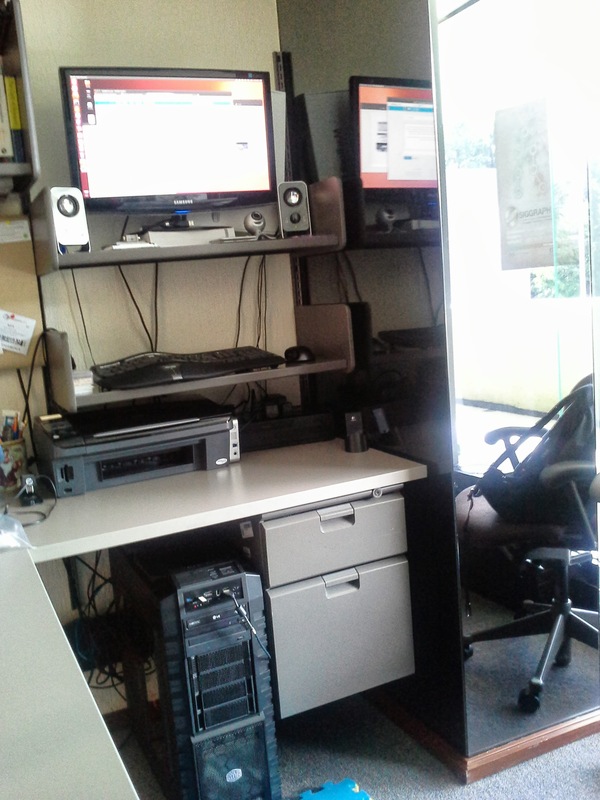 So I posted back in July about my standup workstation. I had just started using this setup and wanted to post about it. That was two months ago so I figured it was time to do a short update considering the office move combined with two months of using this configuration. 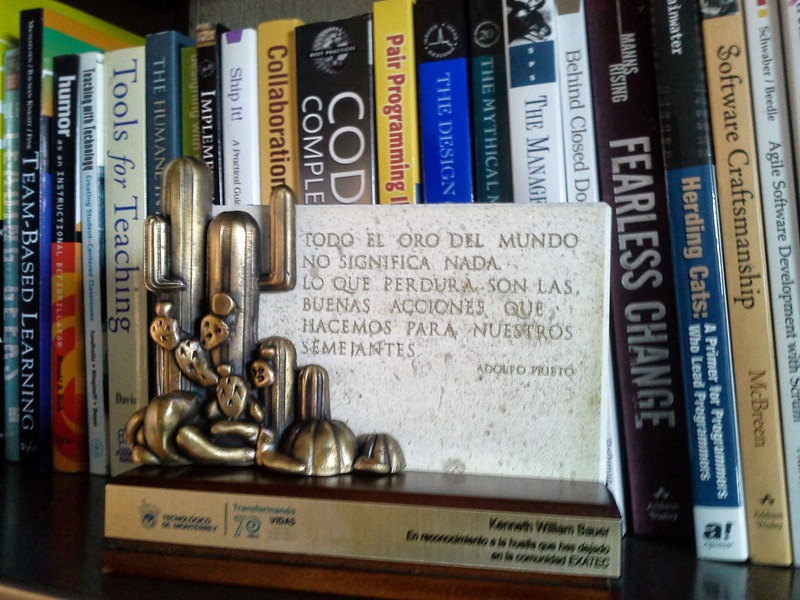 I write this post on the day of the 70th anniversary of the Tecnolócigo de Monterrey which is an appropriate time to reflect on my decision to a life as an academic. Just this week one of my students (he never took a class with me but we interacted and still interact so I consider him one of my students) asked me to write about this. I know he has started teaching and perhaps is in a part of his life of deciding “what to do when he grows up”. I of course never have grown up; I get older of course but I absolutely refuse to grow up. Perhaps that is why I am still “in school” but this time on the “other side of the classroom”. I will be teaching a professional development class this week on Flipping the Classroom (Thursday from 3pm-6pm) and we are already receiving requests for other sessions for those that cannot make it. I sure hope I live up to the demand for knowledge! Since this is a class about flipping the class, I assigned a small amount of pre-course homework and hope that most of the students come prepared. Yes I know that teachers make the worst students, myself included. I also want to point out a couple related posts while I am on the subject. 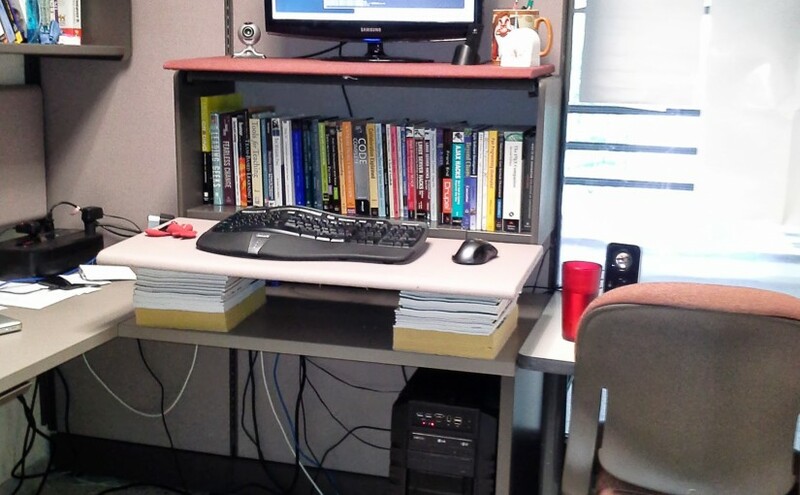 Last summer I decided to take my first steps towards flipping my classroom. 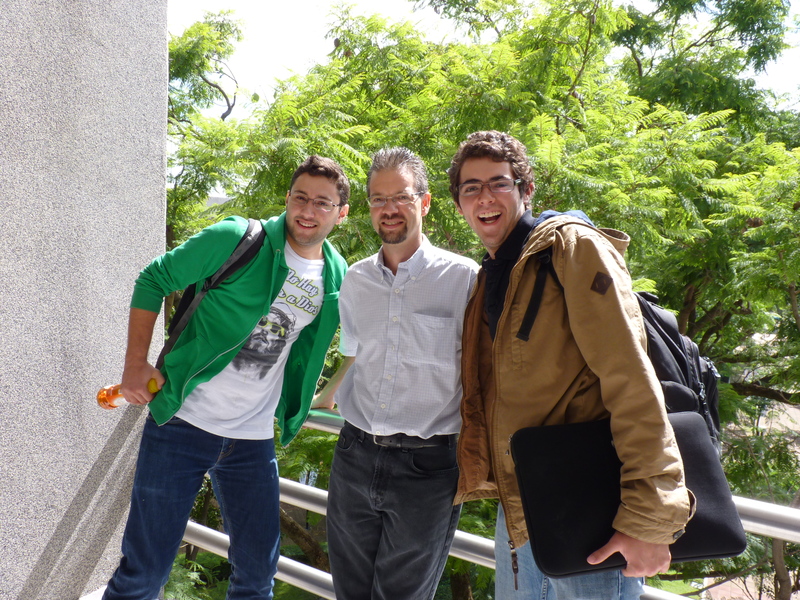 After one year of exploring this on my own I have decided to share my experiences with my colleagues at the Tec de Monterrey, Campus Guadalajara. If you are faculty or staff, the course will be on Thursday September 5th from 3pm to 6pm. If you are wondering what this is all about, I leave you here with a few links to get started. This is by no means an exhaustive list but meant to kick start your journey. I would be happy to receive suggestions here in the comments. A long time ago a very special grade three teacher planted the seeds of a love for reading in her classroom. She would take time each week (if I recall correctly) to read books to us in the classroom. I am sure there were many more but the ones I recall vividly after all these years are James and the Giant Peach, A Wrinkle in Time and Where the Sidewalk Ends. 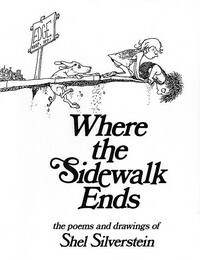 That last one by Shel Silverstein especially stuck in my mind. I can recall listening to my teacher recite the poems with my head on the desk and eyes closed visualizing the story. I had the luck to come across the 30th anniversary edition (linked above) three years ago and quickly grabbed that (and other books) to bring home with me to Mexico. I wrote inside the front cover a message to my daughter about my memories of that book in my third grade class with the hope some of that excitement would rub off on her as she entered grade three (not needed, she has always been a good reader). A couple weeks back I posted on Google+: “If this is good enough for +Kevin Michaluk then I can definitely see using this at work” (link to post here). I’ve been using Moodle as my preferred Learning Management System (LMS) since 2003, so I have been using it since version 1.